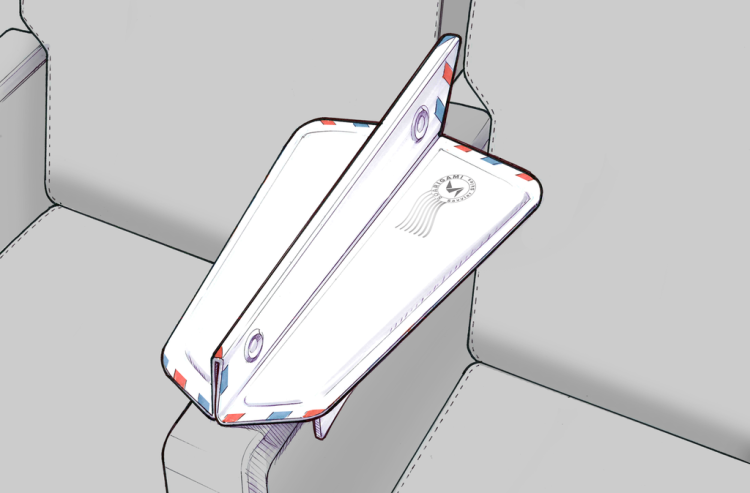 Patent-pending consumer travel product that ends all in-flight armrest battles. 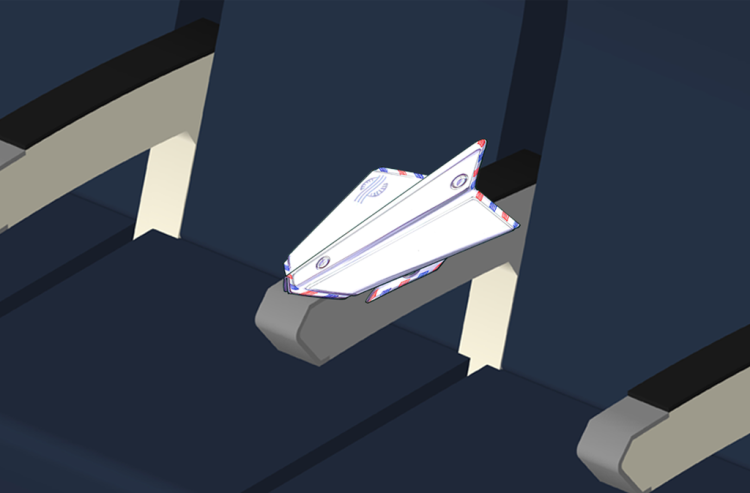 Soarigami, a company whose mission is “to unfold savvier skies” has developed a the “Airmail Edition,” a novel portable armrest divider that uses the core principles of origami, the art of paper folding, to foster cooperation between fellow passengers by eliminating the need for the inevitable armrest battle. Savvy travelers hate fighting for the armrest. However, they also hate carrying unnecessary clutter around. …Introducing the Soarigami Airmail Edition, our pilot concept. 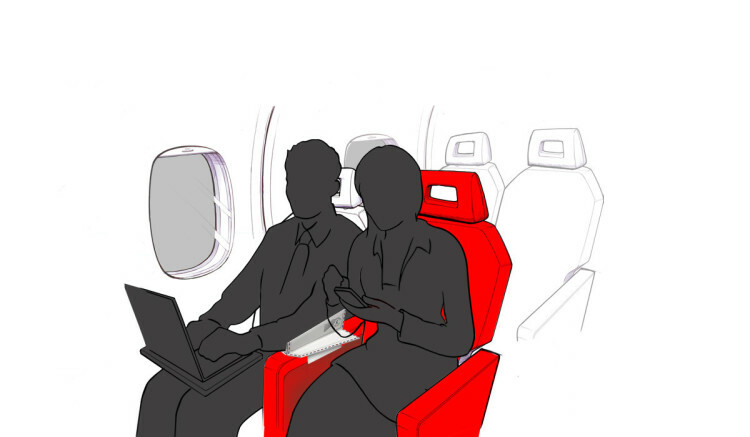 The Soarigami is a consumer product that attaches onto any armrest to extend the space and allow two people to comfortably share. The origami-inspired design makes the device thin and sleek, perfect for any savvy traveler’s carry-on. Made from plastic parts (not paper). Soarigami “Airmail Edition” will be available for pre-order in early 2015. Soarigami has also come up with their “Annoying Passenger Anthem” a very amusing, yet very accurate song that describes the woes of traveling by air.